Social transformation changed the curriculum regarded the art education. Artists to create a work of art offers significant insights into the creative process required to undertake curriculum transformation focusing on particular social and cultural context that constitutes their life-world. Curriculum transformation in this paper focusing on six key elements of curriculum; content, participants, rationale, resources, implementation, and outcomes. The virtue of a curriculum is a decisions made about each of the elements. But the most important one is to connect elements and the overall vision produced by the sum of all those decisions in the current social and educational context. Boughton, D., (1999). Framing Art Curriculum and Assessment Policies in Diverse Cultural Settings. Beyond Multicultural Art Education: International Perspectives In the Series European Studies in Education, Volume 12 (Christoph Wulf, Series Editor). Waxmann Münster, NY & München, Berlin. Boughton, D.G. (1976). The 1975 Fine Arts Council Conference: Some Evaluative Observations, Fine.(Summer). Marshal, J. (205). Conecting art, learning, and creativity: A case for curriculum integration. Studies in Art Education, 46(3), 27-241. Wilson, E. K. (2003). Pre-service secondary social studies teachers and technology integration: what do they think and do in their field experiences. 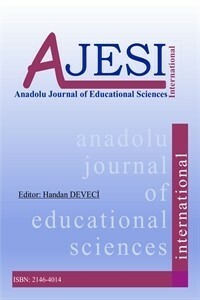 Journal of Computing in Teacher Education, 20(1), 29–39. Carpenter, B. & Taylor, P. (2003). Racing thoughts: Altering our way of knowing and being in art through hypertext. Art Education, 45, 40-55.